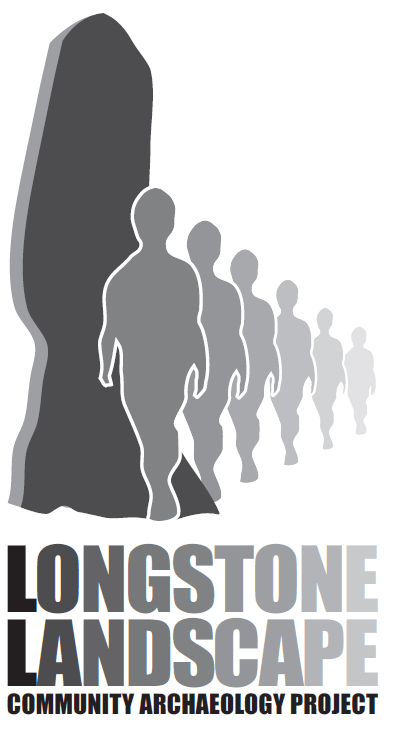 The Longstone Landscape Project is named after the Longstone, the tallest prehistoric standing stone on Exmoor. It began in 2013, combining the interests of Parracombe Archaeology and History Society, North Devon Archaeology Society and members of the communities of Parracombe and Challacombe in researching an area of moorland on Challacombe Common, located on the boundary between the parishes. The landscape around the Longstone contains extensive archaeological remains dating from the Neolithic (5000 years ago) until recent times. Aside from the Longstone, the Chapman Barrows, a linear barrow cemetery, demonstrates the significance this landscape had for Exmoor’s Bronze Age people. A group of standing stones known as the quincunx, due to its arrangement of five stones, is also found within this area. Nearby a long enclosure, possibly dating to the Neolithic period, suggests the importance of this area even before the first Bronze Age barrow builders. Occupation of a farmstead at Radworthy, on the Challacombe side of the Chapman Barrows may have begun before the Norman Conquest and continued into the post-medieval period. The Chapman Barrows complex and Radworthy are two of Exmoor’s Principal Archaeological Landscapes (PALs) (No’s 3 and 4), designated for their exceptional preservation of archaeological remains. Over the course of two years over 40 volunteers have been involved in archaeological survey and research on these sites and have shown how significant this moorland landscape is. Although much has been achieved, work is continuing and there remain many questions still to be answered. The project was funded by the Heritage Lottery Fund through the Exmoor Moorland Landscape Partnership.